A wide variety of colors and connections are available, this version is black and features a 3-pin XLR connection. 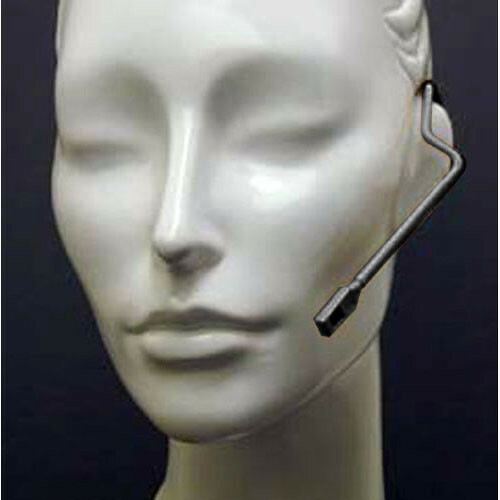 A miniature cardioid capsule is mounted to a low-profile, adjustable headband. The Isomax is available in various colors that match different skin tones. The Isomax is available in omnidirectional, cardioid and hypercardioid polar patterns. The version features a cardioid pattern that effectively minimizes off-axis noise and feedback while providing a generous pick up area. Box Dimensions (LxWxH) 9.9 x 7.7 x 3.3"